Beautify with garden planting, throw it back with old school field games, create through kid arts and crafts, and participate in the traditional, OCTS/Northside May Pole dance on the lawn in front of St. Joseph C.M.E. Church. Enjoy local talent and a gospel showcase. Indulge in food while meeting, greeting, and dancing with your fellow Northside neighbors. All Are Welcome, Free for All! Held on West Rosemary St between Roberson & Graham, Hargraves if it rains. Dancing in the street, Rockin’ Blues with Bubba Norwood & Harvey Dalton Arnold, The Jr. Weaver Gospel Singers on stage again! 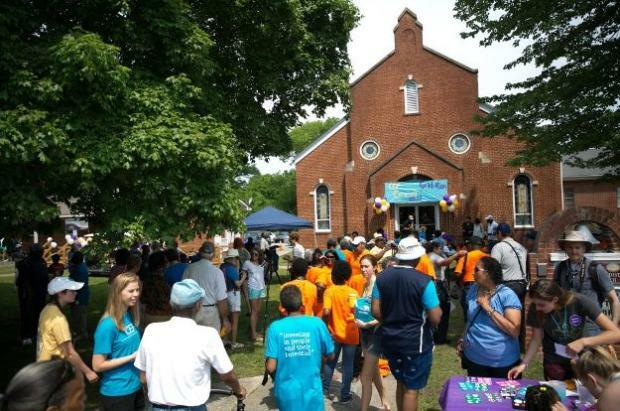 MEGA Praise, St. Paul’s Step Team, OC Jammers, Community Quilting, Big Trucks, CEF Advocacy Choir, Spades Tourney, MCJC and CEF 10th Anniversaries, Rev. Troy Harrison Honorary Pig Pickin’ with Parrish Bros. Farm. Plenty to do!